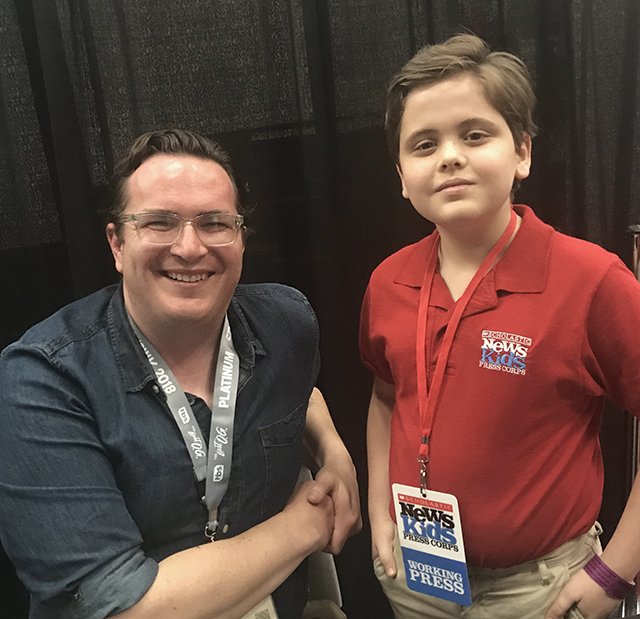 Adventures in Gaming | Kid Reporters' Notebook | Scholastic Inc. Since 1987, the annual South by Southwest (SXSW) conference has drawn an international crowd to Austin, Texas. Every March, visitors flock to the city to learn about the latest in music, film, and technology. This year, SXSW also hosted a gaming expo. Fans could visit with vendors, sit in on panel discussions, and try out games that were being played in real time. Several themes emerged at the expo. Human emotion, Augmented Reality (AR), and inclusivity in sports are among the driving forces behind new games. Lots of AR and Virtual Reality (VR) games were on display. AR brings the physical and digital worlds together for an interactive experience. VR transports a user to an entirely virtual realm with help from a headset. “The ability to immerse a player in a world that doesn’t exist and manipulate that world is central to the VR experience,” explained Matt Stern, co-founder of Mira Labs, a company that makes mobile and web apps. Truman asks a question at South by Southwest’s gaming expo. Truman tries out a virtual reality headset, which is designed to give gamers a more immersive experience. Competitive team sports, including soccer and football, are not new to the gaming market. But a revolutionary format is emerging. Multi-player video game competitions with real-time tournaments are becoming increasingly popular. Many developers are creating games to meet the demand.